Started progress on the 'contracts' feature that will let your company accept transport contracts with different companies or governments in order to make some extra money. 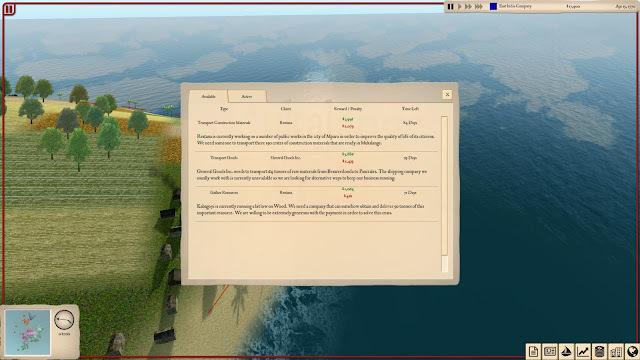 Added random world events that affect supply, demand and prices of different goods. Things like bad harvests, public works or population booms now happen making the world feel more alive and changing the dynamics of the different economies. New "Balance Sheet" window in order to see how your net worth evolves year after year.